Clearly, I decided, Arthur Conan Doyle failed to grasp that an educated, well-rounded individual (as Holmes surely was) had to master the big picture before he could understand the little one. In 2003 a team of psychologists led by Catya von Károlyi of the University of Wisconsin–Eau Claire made a discovery using such images. When the researchers asked people to pick out impossible figures from similarly drawn illustrations, they found that participants with dyslexia were among the fastest at this task. Amazing, isn’t it, how literature captures so much truth about the human condition that we’re just now able to appreciate? Fascinating Mike, really is, and I love Holmes too. Doyle’s works remain classics. I’m overdue for a complete re-reading of them! It’s amazing what you see in stories that were beyond you in your younger days. Yes indeed. Being able to return to these works after growing some, is almost like being exposed to them for the very first time. Like you said, you see things you missed the first time around, or either forgot after so many years. In any case, it feels very comfortable to re-read them. That is quite an insight into the reading process. Am currently reading a plot book in Spanish. Not my normal taste but think it helps more with sentence structure but it lacks the descriptive detail I prefer. 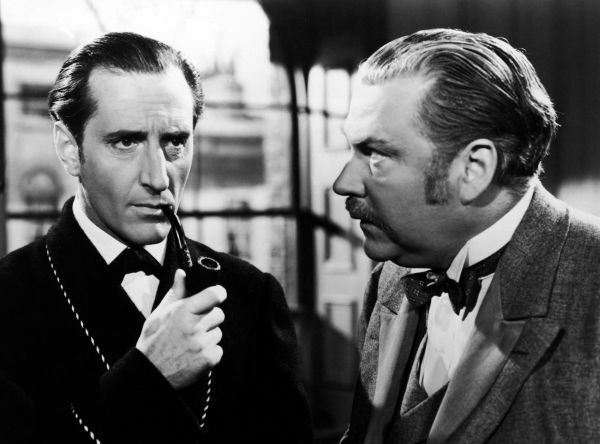 Detective novels can be similar but Conan Doyle managed both! Maybe reading him can strengthen a reader? Doyle understood much about the human condition. Peter Falk’s Columbo was one of many successful clones on the brilliant detective who was also a detached, troubled klutz. Indeed dear Sherlock liked the opium dens!